*It still ain’t over. 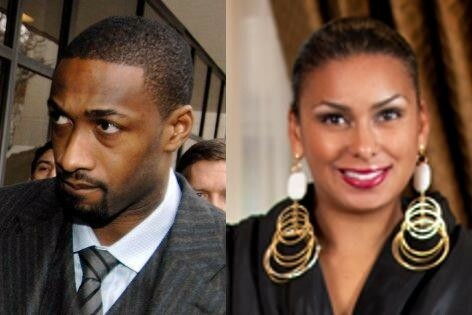 Gilbert Arenas is suing his ex-wife Laura Govan for defamation, again, claiming her repeated instance that he gave her a sexually transmitted disease continues to damage his career. The former NBA star previously won a $110,000 defamation lawsuit against Govan, as well as her attorney, Maya Shulman, over a December blog post in which Shulman said Laura was “stating a fact” when she accused Gilbert of giving her an STD. In the new suit, he says that December comment led to a second instance of defamation. He says Shulman dug her own grave when she issued a retraction — in the comments section of the blog — admitting she doesn’t “know any ‘fact’ that supports” Laura’s STD claims. Gilbert says it proves she knowingly made a false statement. He adds the retraction didn’t come until 2 weeks later, and was NOT prominent on the site. He’s suing both women for damages.